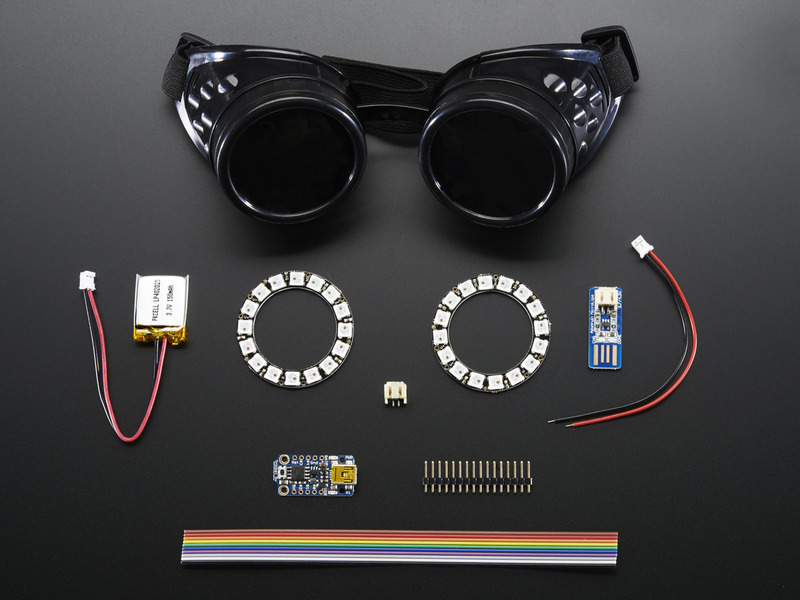 One of the most popular Trinket projects now has its own kit pack, make your very own programmable NeoPixel goggles with 2 x 16 LED rings and an Adafruit Trinket. It even comes with a rechargeable LiPoly battery and charger. It's a great easy build and when you're done you'll have the coolest accessory. Follow along with the popular Kaleidoscope Eyes tutorial. 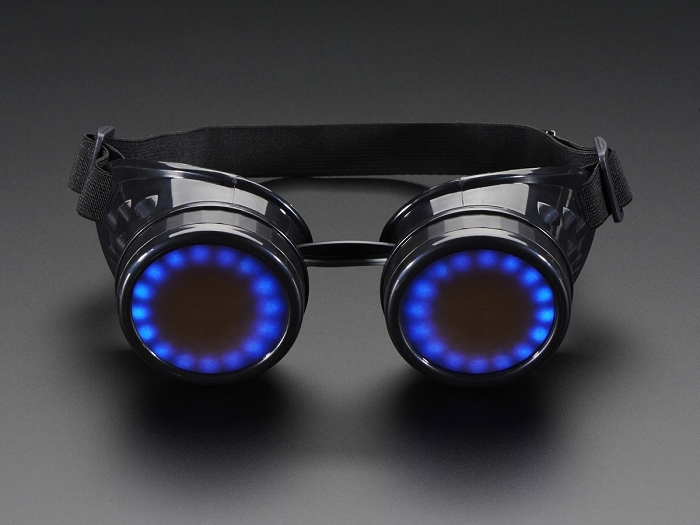 The pack contains almost everything you need to put a pair of NeoPixel Rings in costume goggles and power them with an Adafruit Trinket. 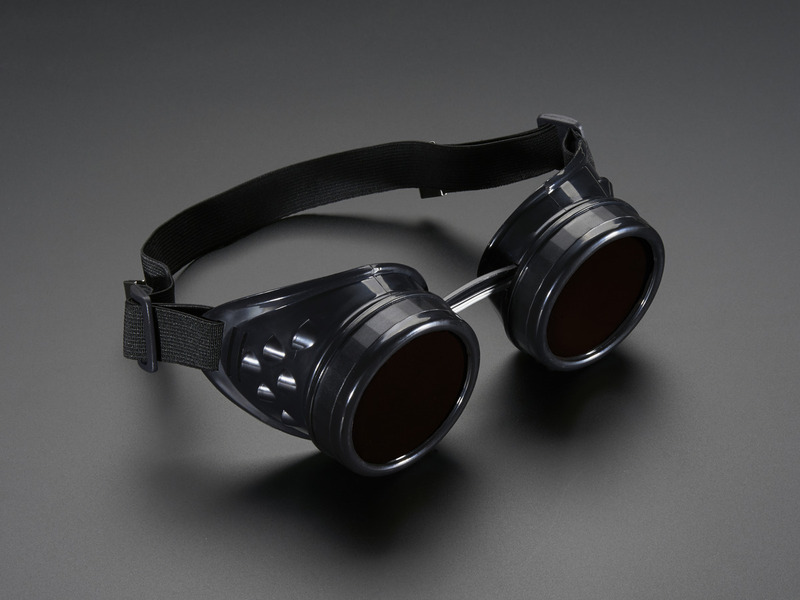 The LED rings fit perfectly inside 50mm round goggles and we include a 3.7v 150mAh battery and and Micro Lipo charger so you can run the battery and charge it all while contained in the goggles themselves. These are fairly easy to put together and should take around an hour to make. 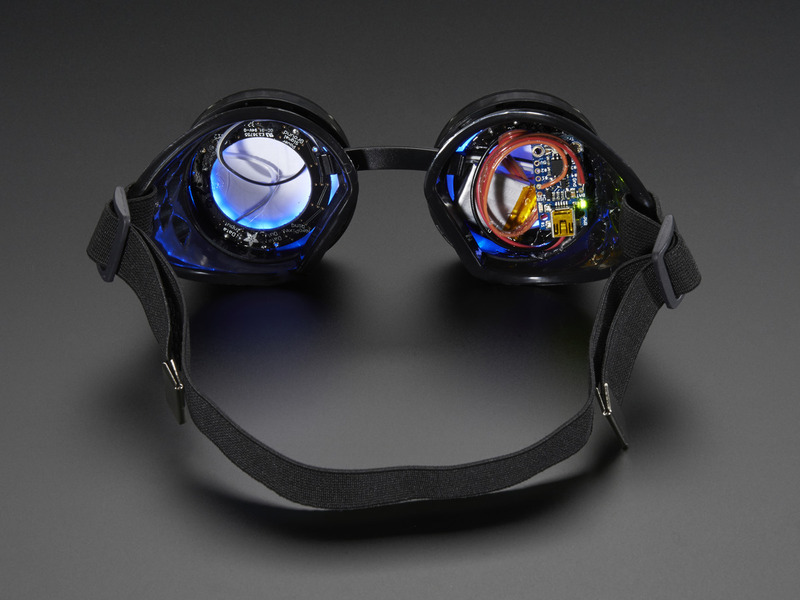 You'll need some basic soldering and hand tools to install the JST connector on the bottom side of the Trinket and connect your NeoPixel rings. We don't include a soldering iron or solder and you can find epoxy or hot glue at most hardware/craft stores. The soldering is easy and is possible to do by beginners, it's a 1-2 hour project (30 minutes if you are a kit-making expert!) Check the tutorial page to see what you'll need to complete the project!